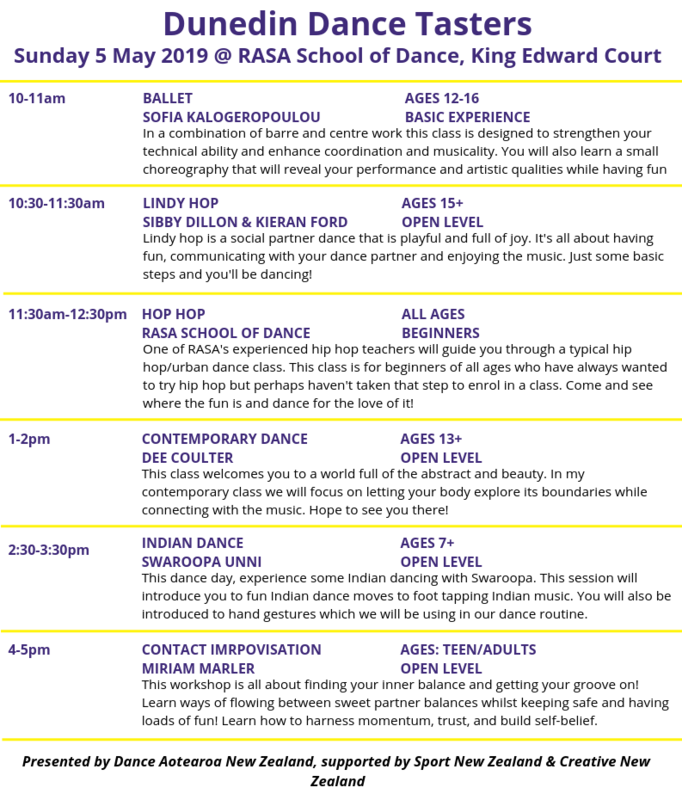 Celebrate NZ Dance Week in Dunedin at the RASA School of Dance. Whether you’re a dance aficionado, like to shake it at weddings and family gatherings, or have never even set foot in a dance studio; this programme of FREE dance/movement workshops has something for all ages and abilities. Head to RASA to get a taste of an eclectic mix of dance forms - from hip hop to lindy hop, lindy hop to ballet, ballet to Indian + much more! This is an excellent opportunity to learn a few new steps and perhaps discover your newest passion. Original generation time 1.4304 seconds. Cache Loaded in: 0.0007 seconds.